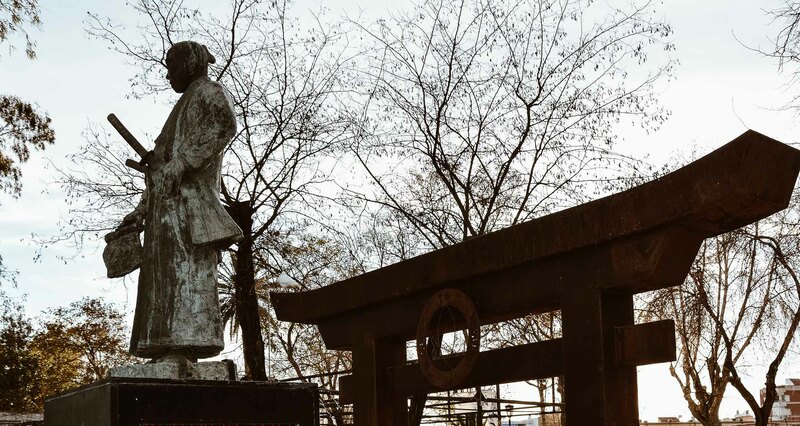 Tsunenaga Rokuemon Hasekura (1571 – 7 August 1622) was a Japanese samurai and servant of Date Masamune, the daimyo of Sendai, famous for having led numerous delegations of ambassadors that led him to travel the whole world. The Spaniards began their travels between Mexico (“New Spain”) and China, through their territorial base in the Philippines, following the journeys of Andrés de Urdaneta in the sixteenth century. Manila became their definitive base for the Asian region in 1571. Luis Sotelo, a Franciscan friar who was proselytizing in the Tokyo area, persuaded the Shōgun to send him as ambassador to Nueva España (Mexico). In 1610 he sailed to Mexico with the Spanish and 22 Japanese sailors aboard the San Buena Ventura, a ship built by the Englishman William Adams for the Shogun. Once in New Spain, Luis Sotelo met the Viceroy Luis de Velasco, who agreed to send an ambassador to Japan, in the person of the famous explorer Sebastián Vizcaíno, with the mission to explore the “Gold and Silver Islands” that were thought to be east of the Japanese islands. Vizcaíno arrived in Japan in 1611 and had many meetings with the Shogun and the feudal lords, but he was not very respectful of Japanese customs, and he found the Japanese to be against Catholic proselytism. Vizcaíno eventually set off in search of the “Silver Island”, during which he encountered bad weather, which forced him to return to Japan with serious damage. The Shogun decided to build a galleon in Japan, in order to bring Vizcaíno back to New Spain. On February 17, Hasekura was baptized by the king’s personal chaplain and renamed Felipe Francisco Hasekura. The visit of the Japanese people is recorded in the chronicles of the area as a delegation led by “Filippo Francesco Faxicura, Ambassador to the Pope, from Date Masamune, King of Woxu in Japan”. “They never touch the food with their hands, but they use two thin sticks holding three fingers”. (“Reports of Mme de St Tropez”, October 1615, Bibliothèque Inguimbertine, Carpentras). 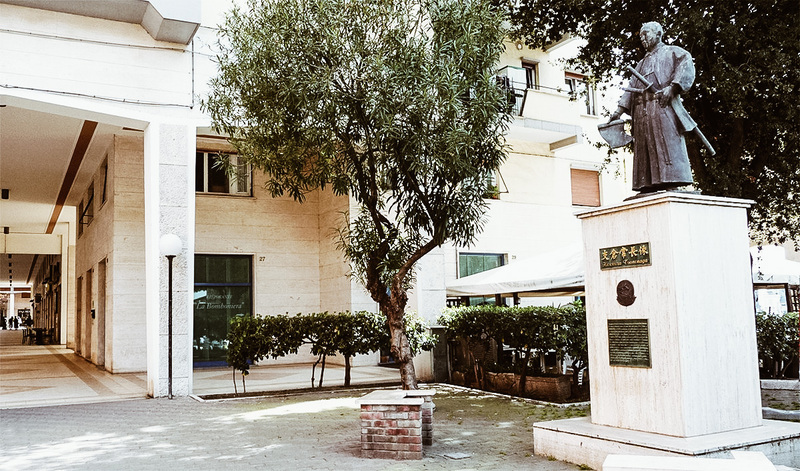 The Japanese delegation arrived in Italy, succeeding in obtaining an audience with Pope Paul V in Rome, in November 1615, disembarking in the port of Civitavecchia, reason why even today Civitavecchia is twinned with the Japanese city of Ishinomaki. 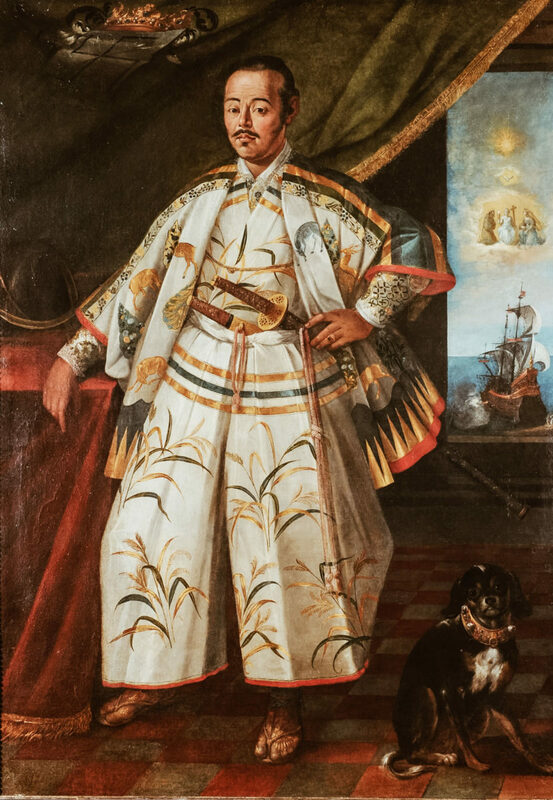 Hasekura handed the Pope a letter decorated with gold, with a formal request for a commercial treaty between Japan and Mexico, as well as sending Christian missionaries to Japan. The Pope accepted without delay to dispatch the sending of missionaries but left the decision of a commercial treaty to the King of Spain. 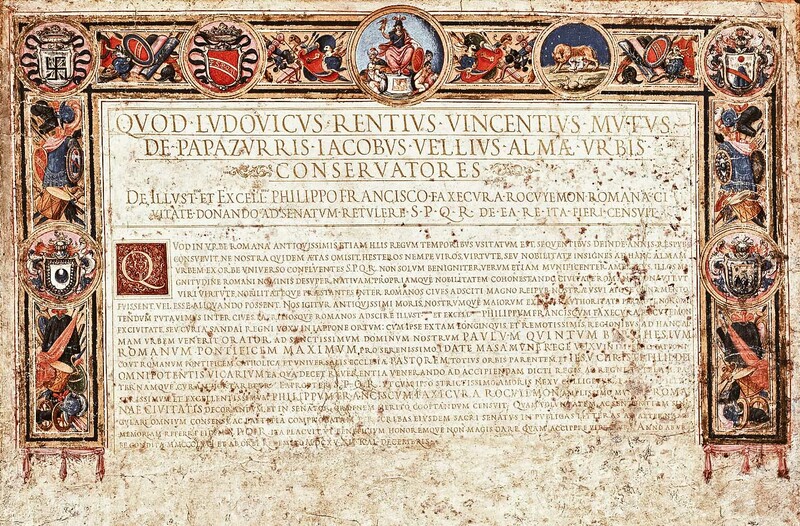 The Pope then wrote a letter to Date Masamune, of which a copy is still preserved in the Vatican. The Senate of Rome gave Hasekura the honorary title of Roman Citizen, in a document which he later brought to Japan and which is still visible today and preserved in Sendai. In 1616, the French publisher Abraham Savgrain published an account of Hasekura’s visit to Rome: “Récit de l’entrée solemnelle et remarquable faite à Rome, par Dom Philippe Francois Faxicura” (“Tale of the solemn and remarkable entry made in Rome by Don Filippo Francesco Faxicura “). 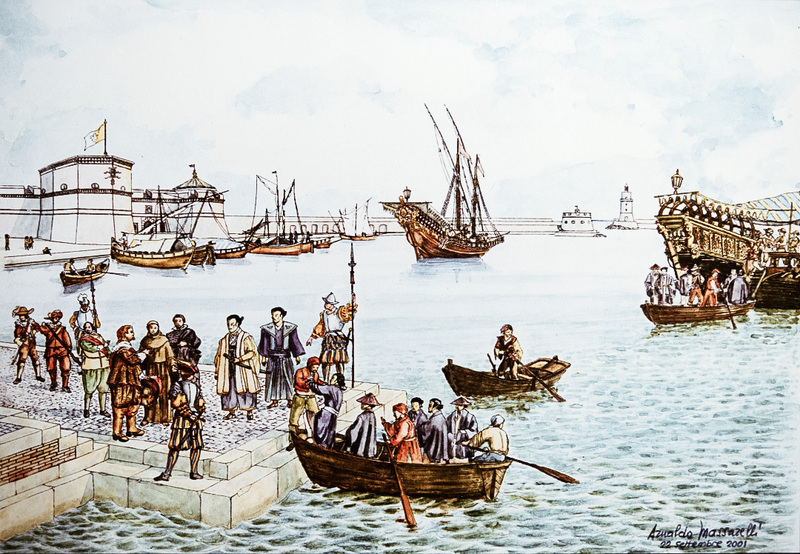 In April 1618 the San Juan Bautista arrived in the Philippines from Mexico, with Hasekura and Luis Sotelo on board. The ship was bought by the Spanish government, with the aim of building defences against the Dutch. Hasekura returned to Japan in August 1620 and found the nation very changed: the persecution of Christians in the effort to eradicate Christianity had been active since 1614, and Japan was moving towards the “Sakoku” period, characterized by overwhelming isolationism. Because of these persecutions, the trade agreements with Mexico that he had tried to establish were denied, and much of the effort in this direction had been in vain. It seems that the embassy he represented has had few results, but has instead accelerated Shogun Tokugawa Hidetada’s decision to cancel trade relations with Spain in 1623 and diplomatic relations in 1624.